New York Painting Services is a full service painting contractor that is readily available to provide superior quality services to the commercial and residential owners throughout the Greater New York and New Jersey areas. Being completely licensed and insured since 2004 has given us the opportunity to earn a solid reputation as we continue to make every experience working with New York Painting Services count. Our artisans are the leading professionals in the industry and excel with the workmanship as well as customer service, professional courtesy and traditional values. By using New York Painting Services for your projects you can expect high-end products and equipment in addition to the expertise we diligently execute at an affordable price, your overall experience is phenomenal. 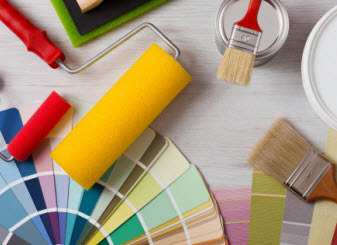 New York Painting Services has color specialists to help our New York and New Jersey commercial and residential customers select the exterior and interior of their homes and buildings. 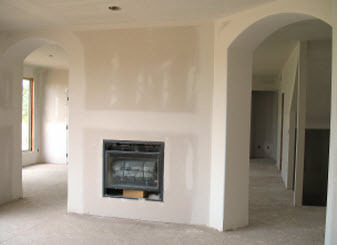 Among the color schemes frequently selected are the warm colors. These colors are on one half of the color wheel that primarily consists of reds, yellows, oranges and yellow-greens and the colors made with the use of these colors. They have a tendency to make people feel warmer because they increase adrenaline and breathing rate, raise blood pressure as well as body temperature. The more intense the feelings are by how strong the color is. When it comes to interior design and painting with the warm colors in the commercial and residential applications throughout New York and New Jersey, consider the suggestions listed below. 1) Sunlight, sand, fire, and heat are frequently comes to mind when referencing warm colors. 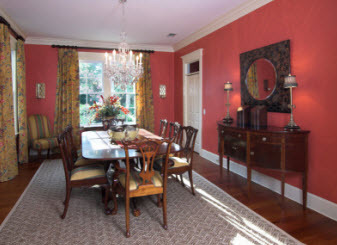 Warm colors bring a bit of personality and add spice to otherwise bland and primarily neutral colored rooms. 2) Warm colors can make large rooms appear cozier and more intimate at the same time make north-facing or dark rooms appear lighter and warmer. 3) Generally energizing, warm colors should not be so bold and dominant in the bedroom, dining room or other such rooms where you want to avoid stimulation. 4) Tradition interior design is best established with warm colors; for those prone to this style, opt for muted warm tones for the primary colors. 5) If the color scheme is heavily saturated with warm tones, balance it out by incorporating a couple of cool tones from the color palette. To best achieve the harmony, choose colors opposite on the color wheel. A soft lilac or deep purple can unify a room that is a sunny yellow. 6) A bright warm color motif may not be the better option if you have a more subdued or introverted personality. Instead use the warm shades as accents and stick with the cool, soft shades as the primary color. 7) Neutral colors, whites, blacks, grays and such neutrals, can appear warm or cool depending on the undertones and work excellent in a warm palette scheme. Additionally, the warm undertone neutrals will balance out the cool colors such blues, greens, and even reds. 8) Keep in mind that paint pigments can have subtle variations that sometimes look differently in your home than in the store, depending on the lighting and color factors established in the home. If you are looking into coloring your home or business in the New York or New Jersey areas with warm tones, call in the experts of New York Painting Services and let our talented team of specialists help you find the right scheme and apply it with superior execution.